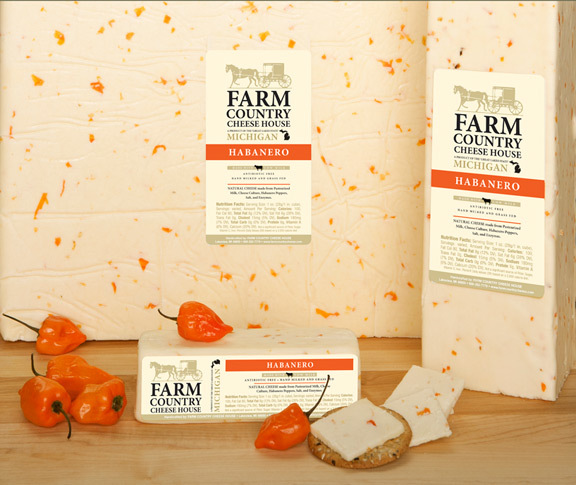 Our best selling specialty, this cheese is hot enough to fly off the shelves and hot enough to satisfy even the fireiest cowboy. Real orange habanero peppers are added to our Michigan Jack. This Tex-Mex inspired cheese is not for the tentative taster. It is truly one of the hottest cheeses on the market!